Hi! 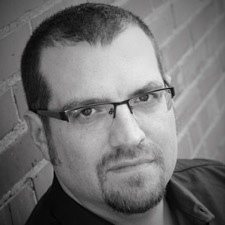 Mark LaMaster here, Chief Dad Developer at Playoff Parenting University! I'm so glad that you stopped by. It's my pleasure to tell you about the Friday Night Lights for Fathers and Sons TRAINING CAMP! I designed this course to equip and encourage dads who might feel a bit discouraged or even defeated to discover tools that will lead to a deeper relationship with their sons. I also designed this course for older brothers, uncles, step-dads, grandpas, or any other significant male role model in the life of a boy or young man. The Friday Night Lights for Fathers and Sons Training Camp offers live coaching calls, a private Facebook group, printable Game Day checklists, provoking thought exercises, and a community of like-minded dads who will encourage and support you on your quest to become the dad you always dreamed of becoming. I will be your coach and mentor throughout the entire Training Camp. 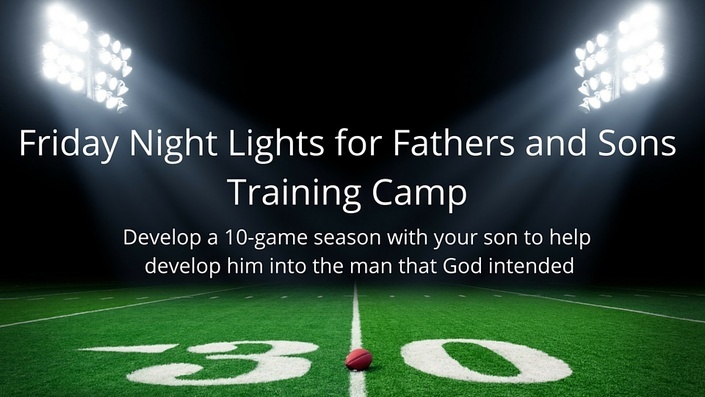 Training Camp is based on my book, Friday Night Lights for Fathers and Sons: Schedule a 10-game winning season to help develop your son into the man God intended him to be. If you've already picked up my book, Thank You! My passion is to help good dads become GREAT Dads! Ongoing support, encouragement, and prayer from the Playoff Parenting community. A tribe committed to your success. Lifetime access to the entire course! I'll be continually adding more material in this course over time, so make sure you don't miss out on this Training Camp! I am a coach, author, and speaker who equips and encourages dads to develop deeper relationships with their sons through intentionality, engagement, and ceremony, so they can fulfill their desire to raise them into the people God intended. I recently published his first book, Friday Night Lights for Fathers and Sons, to help good dads become GREAT Dads by creating intentional, biblically based activities in the form of Game Days. Each of the Game Days in the 10-game season is designed to engage dads and their sons in conversation on topics ranging from faith and friends to prayer and purity. You can download a FREE COPY of my "6 Steps to Planning a Game Day with your Son" in the form below. In this resource, I share the 6 steps I used to develop each one of the Game Days for fathers and sons. Use the same approach that I used to develop Game Days for my book, Friday Night Lights for Fathers and Sons with this FREE Resource! Each activity is intentional, engaging, and will strengthen your father/son relationship! Success! Now check your email to get your FREE 6 Steps to Planning a Game Day With Your Son!